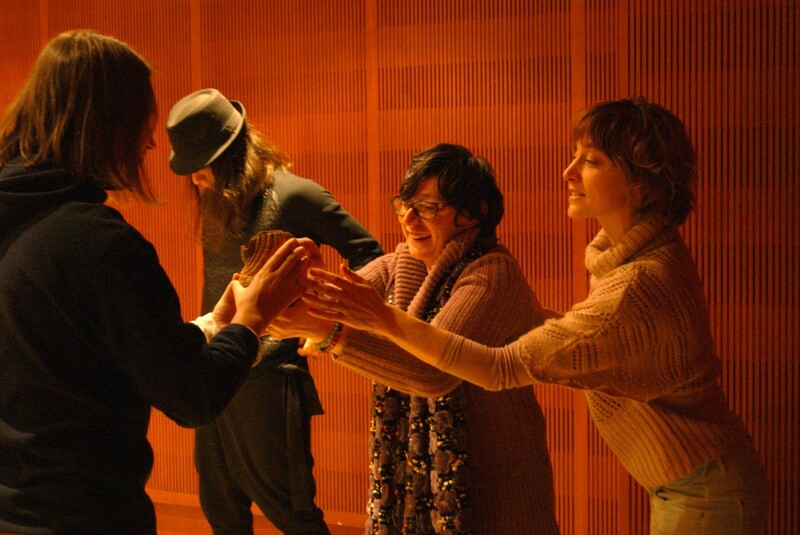 From February 2014 until February 2015, I had the joy to work as a teacher and choreographer for the Unlimited Access* program for dance and disability, at the Onassis Cultural Centre. In this context I worked with a group of adults with and without physical or learning disabilities. Throughout the program I collaborated closely with and was assisted by Irini Kourouvani, an excellent dancer and one of the first professional disabled dancers in Greece. A pier juts out into the blackness of the stage. It leads to the Sweet Abyss, an unexplored, mysterious place, alluring but threatening, incomprehensible but simultaneously filled with rich meaning. This space is created and explored by the dancers through their movement, their gestures and the routes they take. But language, too, is present in all its poetry and prosaicism, complexities and inadequacies. Every movement, every text and idea the dancers put on stage has originated from their improvisations and reflects the form and content of the workshops run by Medie Megas and Irini Kourouvani. *Unlimited Access was an ambitious programme for dance and disability which began in 2012, when four institutions—the British Council, the Onasis Cultural Centre, Vo’ Arte from Portugal and the Croatian Institute for Movement and Dance—joined forced in the context of the Unlimited Festival being staged under the aegis of the London Cultural Olympiad. The program set out to create and promote dance performances for people with disabilities and to rethink the approach taken to disabled people in the cultural sphere. Along side our group, two other groups were created. 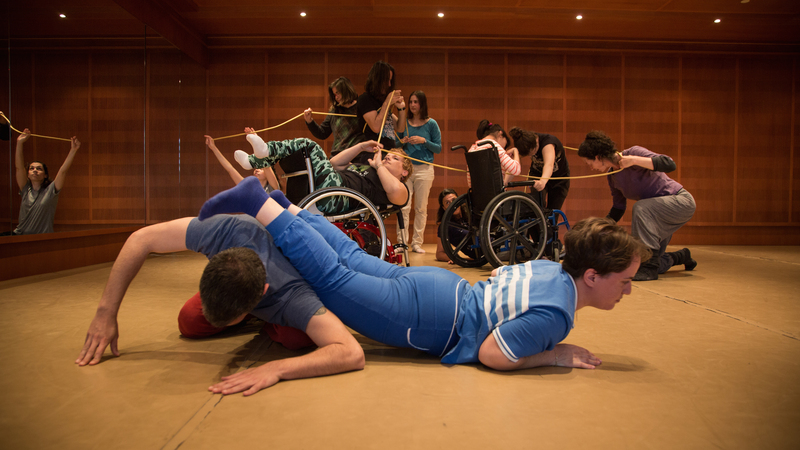 Choreographer Iris Karagian, with Menelaos Tsaousis as her assistant, taught a group with and without visual impairment and choreographer Maria Koliopoulou and her assistant dancer Andreas Kolisoglou taught a group with and without physical disabilities. The performance on the main stage of the OCC also featured Karagian’s ‘You listen to a sound. You run across the stage. You stop. You feel an arm on your shoulder. You go on…’ and Koliopoulou’s ‘The flight‘. Unlimited Access στη Στέγη from SGT | OCC on Vimeo.